American artist SNR once again returns to the Arrival imprint with three new progressive cuts, which are featured on his new EP "Kumba". He recently appeared on our Silk Textures imprint with "Beautiful Change", a collaboration with Rikkaz and featuring Jan Johnston on vocals. The first song, "Kumba", was also featured on the newly launched "Arrival 01: Destination United Kingdom" compilation and has witnessed early radio support from Myon & Shane 54. It includes a variety of outstanding synth structures, as well as several intriguing and well-crafted melodies and theme riffs. "The Cure" features rough synth stabs, which unite beautifully with the background melodies and the captivating groove. 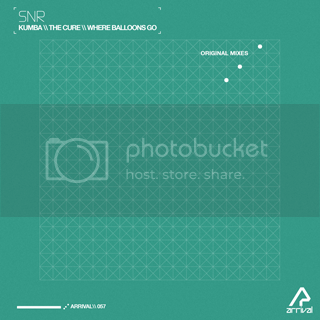 Finally, "Where Balloons Go" starts with a firm beat and stimulating background synth stabs. In the break, we witness soothing vocal elements and quite interesting melody combinations.